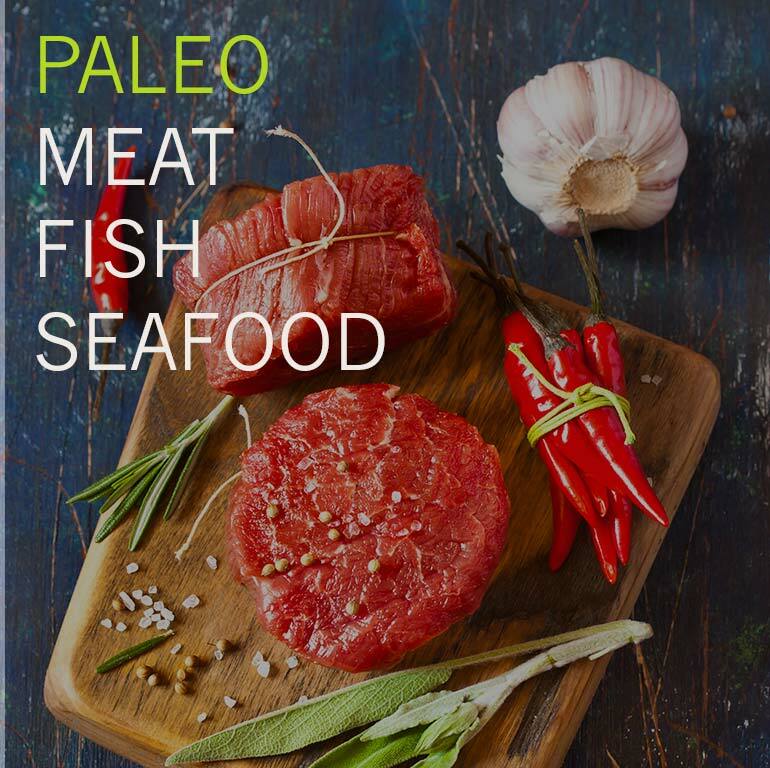 The Paleo diet is all about enjoying natural foods, simple thing to do unless you’ve been ‘thriving’ on the standard American diet for ages. So which foods should you banish from your kitchen and more importantly, which ones can you eat? 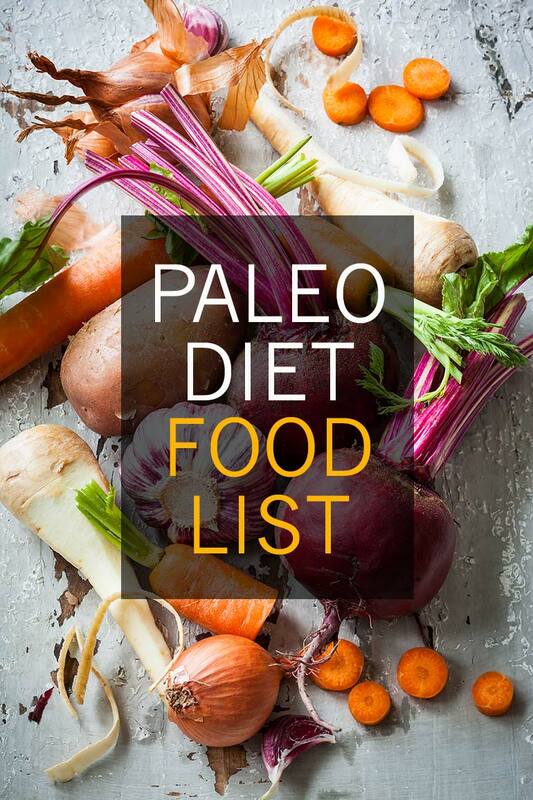 To make things easier, this article breaks down the Paleo diet into a green, yellow and red light system – keep in mind that this is only a guide, not a complete list of foods you can eat. Green light light foods are “GO”! These are the foods that form the heart of your diet. Most veggies are paleo. However, there are two notable exceptions. The first being starchy tubers (e.g. sweet potatoes) which should be consumed in moderation, if at all – depending on how strict you’re following the diet. The second vegetable exception are legumes (e.g. peas, lentils, peanuts), which we’ll cover under yellow light foods later. Green leafy veggies are loaded with vitamins, minerals and various antioxidants. Studies show that these nutrient powerhouses can strengthen your immune system by helping your body get rid of harmful bacteria 1, boost your number of immune cells 2 and render your intestinal flora healthier 2. Studies also suggest that green leafy vegetables can boost your heart’s health – green veggies are loaded with vitamin K and potassium, two nutrients known to prevent calcification of arteries 3 and maintain optimal blood pressure and lipid profiles 4. Cruciferous vegetables are super healthy, and research shows that they can help delay skin aging. When you consume cruciferous veggies, the glucoraphanin combines with myrosinase (two compounds naturally present in these veggies) to form sulforaphane, which is known to shield the skin against sun damage 5. Cruciferous vegetables may also protect you against cancer. Research shows that regular consumption of these veggies can help keep cancers of the skin 6, prostate, breast and colon 7 at bay. Yellow-orange cucurbitaceous veggies such as squash and pumpkin are jam-packed with carotenoids, potent antioxidants that offer protection against cancer, macular degeneration and atherosclerosis 9. Gourds have been extensively used in the management of diabetes as they help to regulate the release of insulin while preventing surges in blood glucose levels 8. Root vegetables are terrific sources of a plethora of antioxidants with potent health benefits. For instance, veggies with a purple hue contain anthocyanins known to reduce pain caused by inflammation 10 and improve the body’s utilization of glucose 11. These antioxidants may also significantly decrease your risks of certain cancers 12. All fruits are allowed. However, while all fruits are green light foods, here are tips for choosing the best fruit. Moderate your intake of high sugar fruits (e.g. banana, pineapple, watermelon, mango), especially if weight loss is one of your goals. The same goes for dried fruits, which are best used to sprinkle on salads or mixed with a handful of nuts as a snack. Yellow-green fruits like kiwifruits, honeydew, grapes, green apples and limes and orange fruits like papaya, apricots, grapefruits, mangoes, oranges and cantaloupes contain the same carotenoids found in yellow-orange veggies. Plus, you’re probably aware that they’re loaded with vitamin C, a nutrient that does much more than simply enhance your immune system – research suggests that this vitamin can also improve the heart’s health by improving blood pressure and increasing good HDL cholesterol levels 13. Plus this vitamin is also essential for strong collagen, the skin’s structural protein. 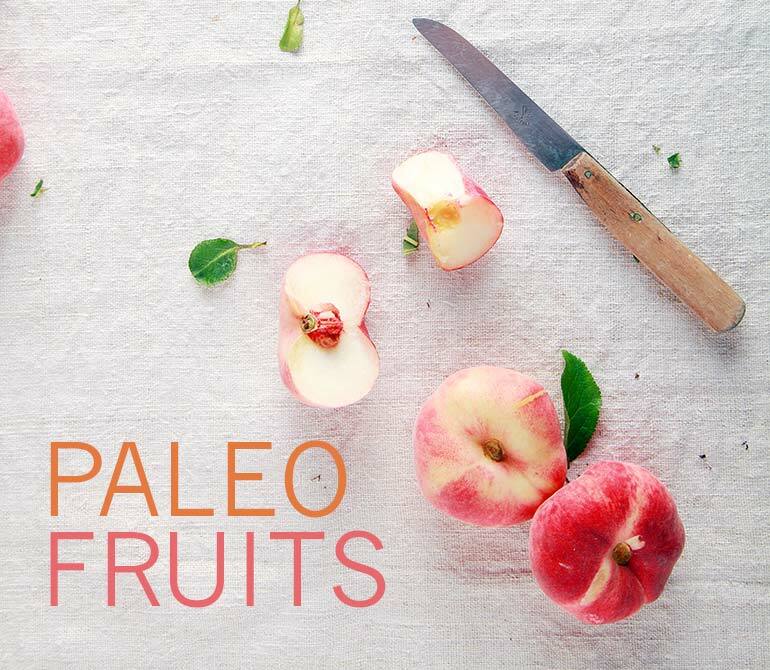 Red fruits like watermelon, cranberries, pink guavas, strawberries, blood oranges and red apples are loaded with lycopene, a popular antioxidant known to protect the skin against sun damage and cancer 14. Plus they also contain ellagic acid, another compound needed to maintain a youthful complexion and healthy hair and nails 15. Bluish and purple fruits such as blueberries, concord grapes, plums and blackberries get their incredible hues from the antioxidant anthocyanin. Note: Turn to fruits to satisfy your sweet tooth not as a substitute for veggies. When should you buy organic produce? Check out the EWG’s dirty dozen and clean 15 lists here to know more about produce the most and least polluted with pesticides. Meats, seafood and eggs contain protein sources of high biological value. In other words, the body can easily utilize the amino acids from these foods to build and repair cells, increase your muscle mass and synthesize various essential biochemical substances like hormones, antibodies, neurotransmitters, enzymes and hemoglobin. Plus these foods also contain a variety of essential minerals such as zinc, selenium or iron as well as essential fatty acids. Buy meat fresh and – whenever possible – free of hormones and antibiotics, and naturally raised. When it comes to fish go for wild-caught fish instead of farmed, and keep canned fish such as canned tuna and salmon to a minimum. Two to five times more omega-3s 16. Two to five times more conjugated linoleic acid (CLA), a fatty acid with potent antioxidant activity which could protect against heart disease 17, cancer 18 and diabetes 19. Remember that happy animals are healthy animals so, if your budget permits; choose grass-fed products. However, if you decide to go for conventional produce, just remember to discard the skin and trim as much fat as you can – that’s where antibiotics and hormones tend to accumulate. Organ meats are definitely an acquired taste. But they are also naturally loaded with iron, zinc, choline, vitamin B12, other B vitamins, vitamin D and trace minerals. Plus the heart is one of the best sources of coenzyme Q10 which is an essential component of energy production and for the prevention of oxidative stress. Fish and seafood should be included at least three times a week in your daily diet. To get the most omega-3s and vitamin D, select wild fatty fish such as salmon, tuna, herring and sardines. And if you’re buying seafood like clams, scallops, lobster, crab, mussels or shrimps, make sure that the seller has a known record of safe handling practices. Worried about mercury contamination? Check out the Monterey Bay Aquarium Seafood watch for recommendations. Make sure to eat the whole thing, even the yolks – these are rich in choline, a forgotten B-vitamin that is essential for brain health. Choline is involved in the synthesis of the neurotransmitter acetylcholine and is needed for effective communication between cells. Egg yolks also contain arachidonic acid, DHA, vitamins A, B-complex and D.
To get the most of these nutrients, make sure to buy organic, pastured eggs – they may be more expensive than conventional eggs but they’re the cheapest source of high quality protein. 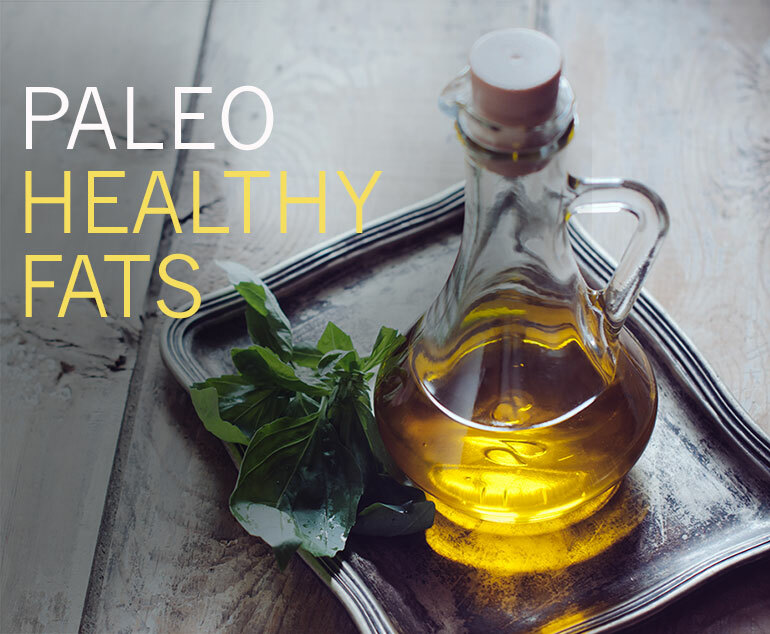 The Paleo diet includes healthy, unprocessed fats that are low on unhealthy polyunsaturated omega-6 fatty acids (linked to inflammation in the body – bad!) and high in omega-3’s (reduce inflammation). TIP! When buying oils look for words like “extra virgin” or “unrefined” on the label. Ghee (clarified butter) and high-quality grass-fed butter are good sources of omega-3s and CLA. These two fats can withstand high temperatures and can be used for cooking. However, do not let ghee and butter burn or reach their smoking point – that’s when they become carcinogenic. Coconut oil has long been demonized due to its high levels of saturated fats. Research now shows that this oil possesses heart-healthy 20, antimicrobial and antibacterial properties 21 and may even improve cognitive function in diabetics 22 and those suffering from Alzheimer’s disease 23. Rendered fat from wild duck, lamb or beef. Unrefined almond and macadamia oils are naturally rich in vitamin E and oleic acid, an omega-9 fatty acid renowned for its ability to reduce cancer risks 24 and soothe arthritic pain 25. Fats that shouldn’t be exposed to heat – these are best used in salads or vinaigrettes due to their lower smoking point. Cold-pressed extra virgin olive oil is rich in oleic acid. Hemp seed oil contains omega-3s and tocopherols that could delay the onset of atherosclerosis and Alzheimer’s disease 26. Heat destroys the delicate natural fatty acids they contain. Avocados are great sources of heart-healthy monounsaturated fats, antioxidant vitamin E, carotenoids and potassium, a mineral known to regulate blood pressure. Avocadoes taste great in salads and smoothies. Nuts and seeds are rich in various antioxidants and essential minerals but they also come with some omega-6 so enjoy them in moderation. Choose the unsalted and unsweetened versions to reap the most health benefits. 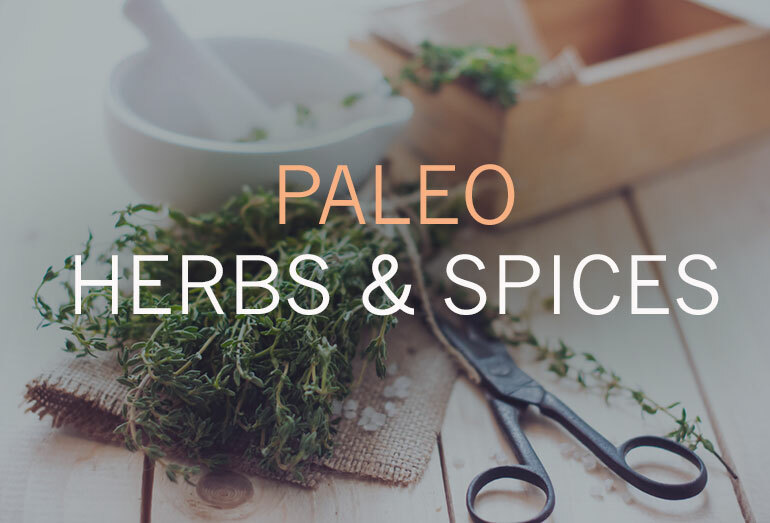 Herbs and spices are all Paleo-approved provided that they do not come with added sugars and chemicals. Besides adding some zing to your dishes, these condiments come with a host of health benefits ranging from improving insulin function and blood pressure to reducing arthritic pain and risks of cancer. Cinnamon – Use to slightly sweeten up smoothies or when making curries. Ginger – Use in stir-fries, smoothies, sautéed veggies, vinaigrettes and when making coconut bread for gingerbread-Paleo-style. Oregano – Use in casseroles, salad dressings and scrambled eggs. Paprika – Can be used in chilis, casseroles or on baked chicken and fish instead of salt. Turmeric – For a nice curry flavor, marinate your fish or chicken with a teaspoon of turmeric powder and some lemon juice. Note: To get the most out of spices, buy them whole and ground them just before using – this will help preserve their essential oils and antioxidants. Fermented foods like kefir, kimchi, kombucha can do wonders for your health if consumed regularly.